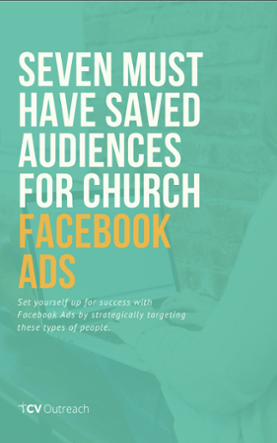 If your church hasn't yet taken the time to develop an actual documented strategy on how you are going to connect with people online, you risk losing out on a massive opportunity. People are increasingly tethered to their devices and to the Internet. There is no sign of this increasing connectivity slowing down. It's time for the church to take action by engaging in platforms like Facebook. Google and Facebook now account for over 85% of Internet Ad Revenue. Google and Facebook have the two most powerful online advertising platforms in existence. If you haven't tested the waters of either of these platforms as a way to connect with people, let us know. We have ongoing, free programs that are focused on providing free services to help churches leverage these platforms to connect them with people who need to hear the Gospel. Internet advertising will overtake TV advertising globally in 6 months (this has already happened in the US). This is another striking milestone in the seismic shift away from traditional media to digital media. There is no looking back. Just count yourself fortunate that you aren't a TV executive... This is actually a massive opportunity for churches though, as the shift has not only been away from traditional towards digital, it's all been a shift away from huge, media conglomerates to smaller, independent media organizations (that's you, Church!). For anyone who has struggled to get their pastor to cut back on the print budget in order to "test out" online ads, show them this slide. One of the most surprising parts of the Meeker Report for me, was actually that there is a shortfall of ad spend on mobile. That means there is a huge opportunity for mobile connection. The important thing to keep in mind is that ads or content for mobile should be optimized for mobile. If you have a film team that is romantic about their beloved anamorphic aspect ratios, it's time to have a talk about making some 1:1 cuts, or even full portrait mode cuts. They can always go watch their Criterion Collection if they need to reminisce about the good old days of cinema. Meeker put this quote by itself on a slide after a whole section on the changing online ad capabilities. It's a simple, but profoundly important thought. The internet is becoming less about text and more about visual experiences like video, 360 video, Augemented Reality, and striking photography and graphic design. It's important to be able to visually represent what your church does. Don't get caught up in technical specs though. If you have the latest iPhone, you are capable of producing extremely high-quality videos and images. If your church is keeping Jesus as the center of your ministry and outreach efforts, technological advances can simply be considered a new way to knock on doors and tell people about Jesus. It's that simple. As technology increases and the human species gets more and more connected, churches have increasingly more powerful tools at their disposal to share the Good News. It's worth taking some time to think about, don't you think? What do you think? 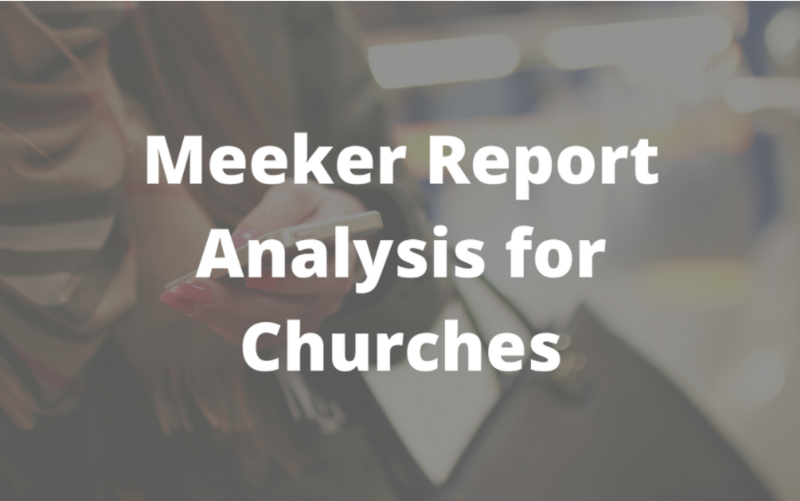 Did you attempt to read through the whole Meeker Report? Anything else jump out at you?